We aim to complete the kitchen replacement programme during 2020/21. Properties which still require a new kitchen will be contacted in January 2019 with information regarding their kitchen installation. Due to new legislation issued by the Scottish Government, we will be upgrading the smoke, heat and Carbon Monoxide detection systems in tenanted properties. This work will begin in April 2019 and continue over a 2 year programme. A 2 year programme will be carried out to replace the door leading to any veranda areas from the kitchen and any windows facing onto the veranda area from the kitchen. Tenants included in year one of the programme will be contacted in January 2019. A 5 year programme will begin in 2022/23 to paint the common closes. Addresses will be surveyed during 2021/22 to determine the order of the programme. Year one of an 8 year programme to renew door entry systems and close doors (front and rear) will commence during 2022/23. The programme will be developed based on the condition of the doors and entry system, which will be assessed on an annual basis. 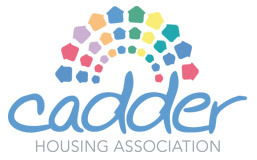 Where applicable, the external building paintwork around close doors, verandas and windows will begin in 2022/23 over a 5 year cycle of works – the ‘Cadder Rainbow’ paintwork. A survey will be undertaken to determine the order in which the properties will have works carried out. Tenants will be consulted on their colour preferences before the programme begins. The 5 year Investment plan is subject to annual review. The Association will issue information annually with details of works to be carried out in your property.